Calendar: «World Peace Day», «International Day of UN Peacekeepers», «International Day of Peace». 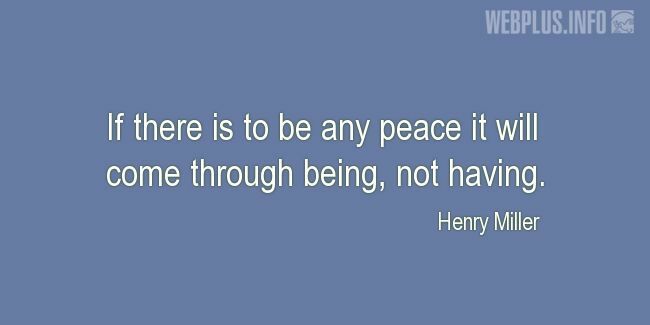 «Through being, not having» illustrated quotation. Peace, free quote pictures for Facebook, Twitter, LinkedIn, Reddit, Pinterest and other social networks.